The wiring diagram is located on the plate under the control panel or rear frame. Warning: Improperly connecting the equipment grounding conductor can result in a risk of electric shock. Check with a qualified electrician or serviceman if you are in doubt as to whether your dryer is properly grounded. Do not modify the plug provided with your dryer – if it doesn’t fit the outlet, have a proper outlet installed by a qualified electrician. This dryer must be grounded. In the event of a malfunction or breakdown, the ground will reduce the risk of electrical shock by providing a path of least resistance for the electrical current. 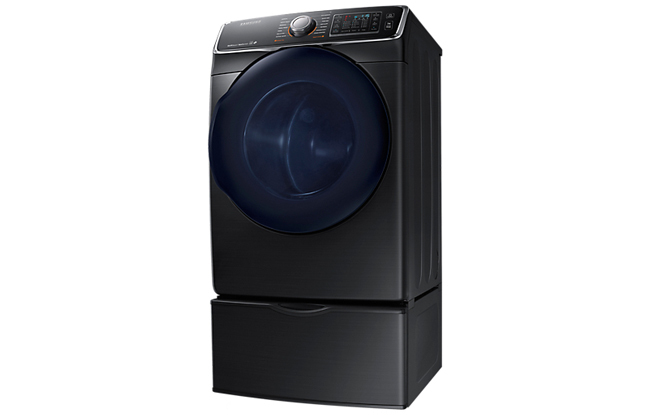 • Your dryer has an optional cord with an equipment-grounding conductor and a grounding plug. This cord is sold separately. • The plug must be plugged into an appropriate outlet that is properly installed and grounded in accordance with all local codes and ordinances. • Do not modify the plug provided with your dryer – if it doesn’t’t fit the outlet, have a proper outlet installed by a qualified electrician. • If a power cord is not used and the electric dryer is to be permanently wired, the dryer must be connected to a permanently grounded metal wiring system, or an equipment grounding conductor must be run with the circuit conductors and connected to the equipment grounding terminal or lead on the dryer. Before operating or testing, follow all grounding instructions in the “Grounding” section (see above). An individual branch (or separate) circuit serving only your dryer is recommended. Important: Do not use an extension cord. • A 120 / 240 volt, 60 Hz AC approved electrical service fused through a 30-ampere fuse or circuit breaker on both sides of the line is required. • All Canadian models are shipped with the power cord attached. The power cord should be plugged into a 30-ampere receptacle. Note: In Canada, you may not convert a dryer to 208 volts.